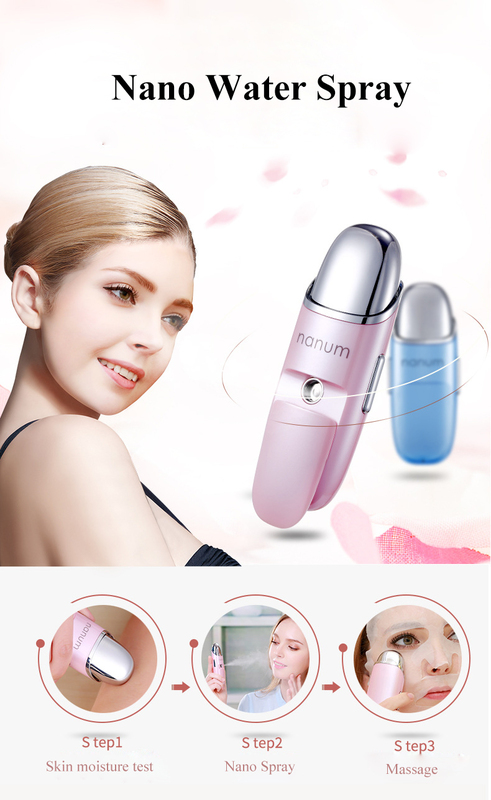 This is a fashion and portable 3 in 1 facial massager. 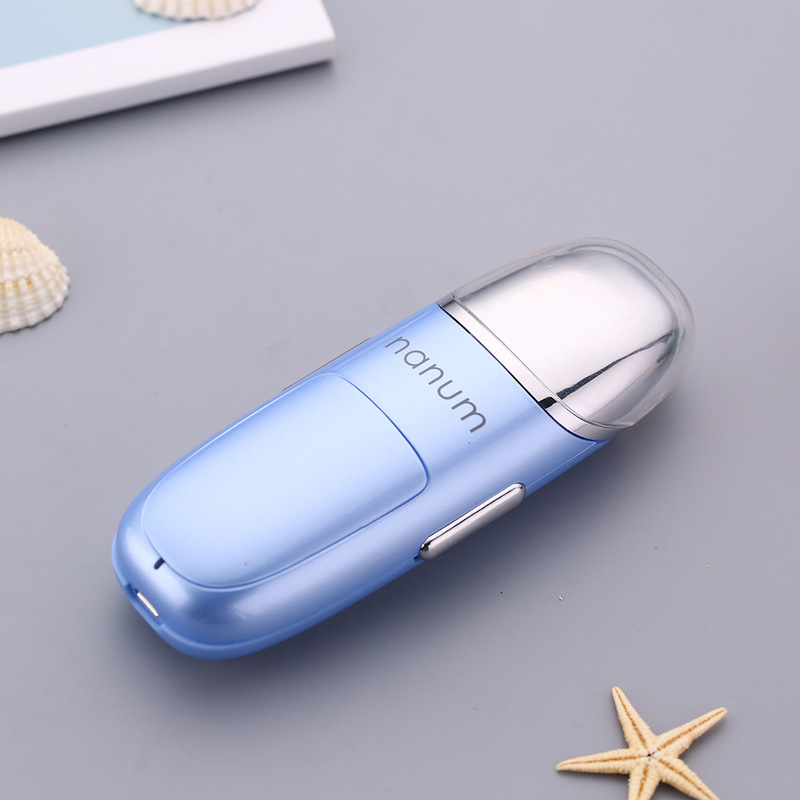 It is a facial humidifier, a massager, and also a skin moisture tester. 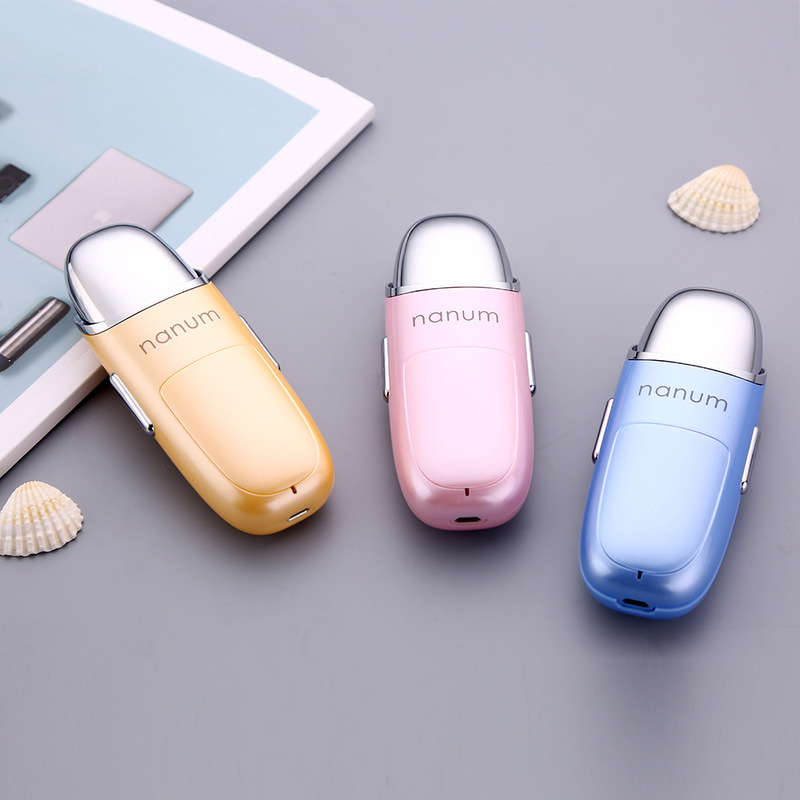 Portable, bright and elegant appearance, easy to put into your handbag and pocket. 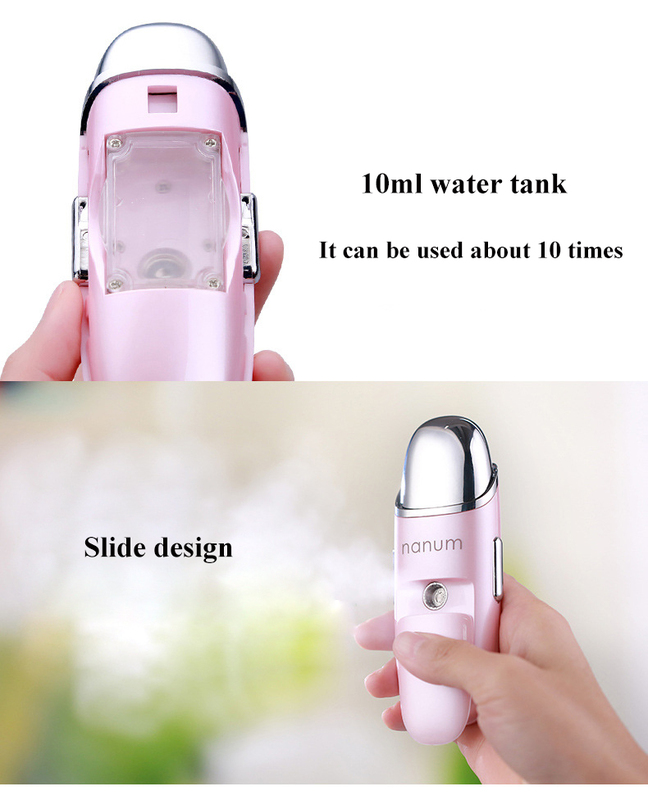 Nano technology mini steamer for deep hydrating, moisturizing, refreshing skin. 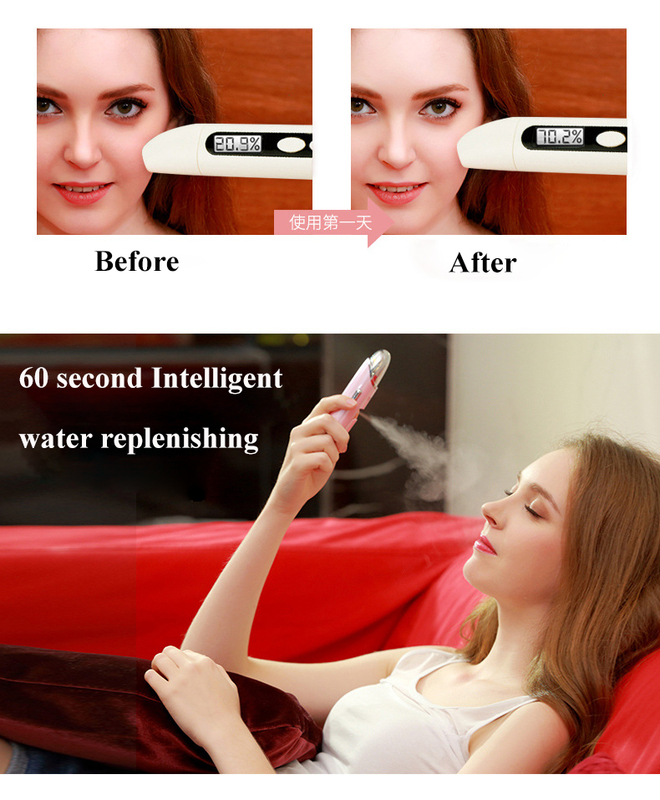 3 in 1 design: A facial humidifier, a massager, and a skin moisture tester. 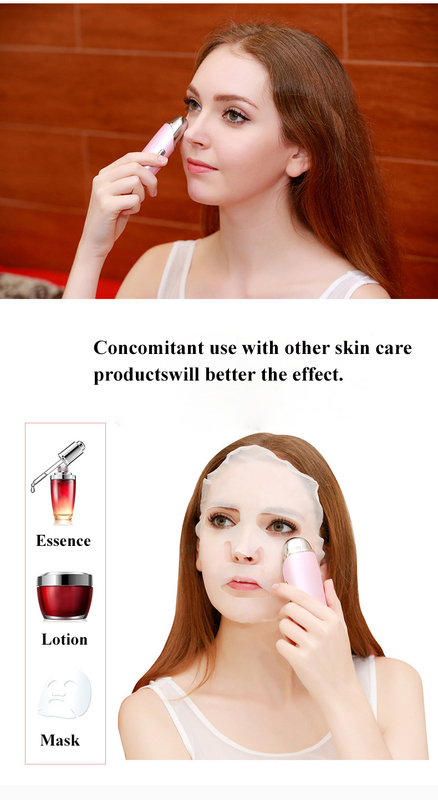 A facial humidifier: Cool mist moistens and soothes tired skin instantly, leaving skin soft and supple, great to relieve dryness from heated or cooled place. 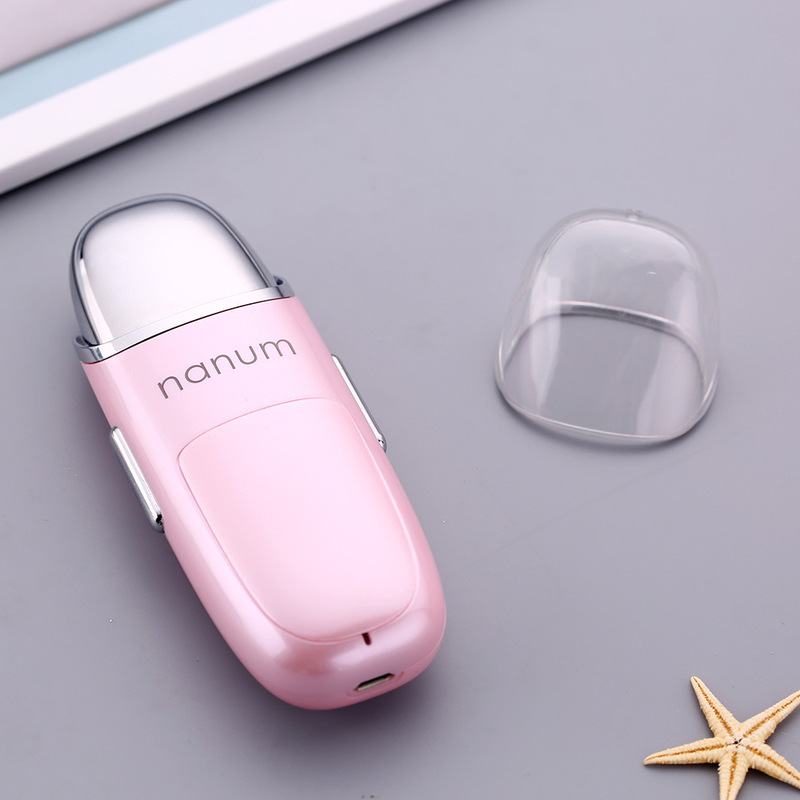 A massager: It can massage your face gently to improve skin absorption, help to uptake nutrition, relieve eye fatigue, remove eye bags, and weaken wrinkles, making your skin radiant again. 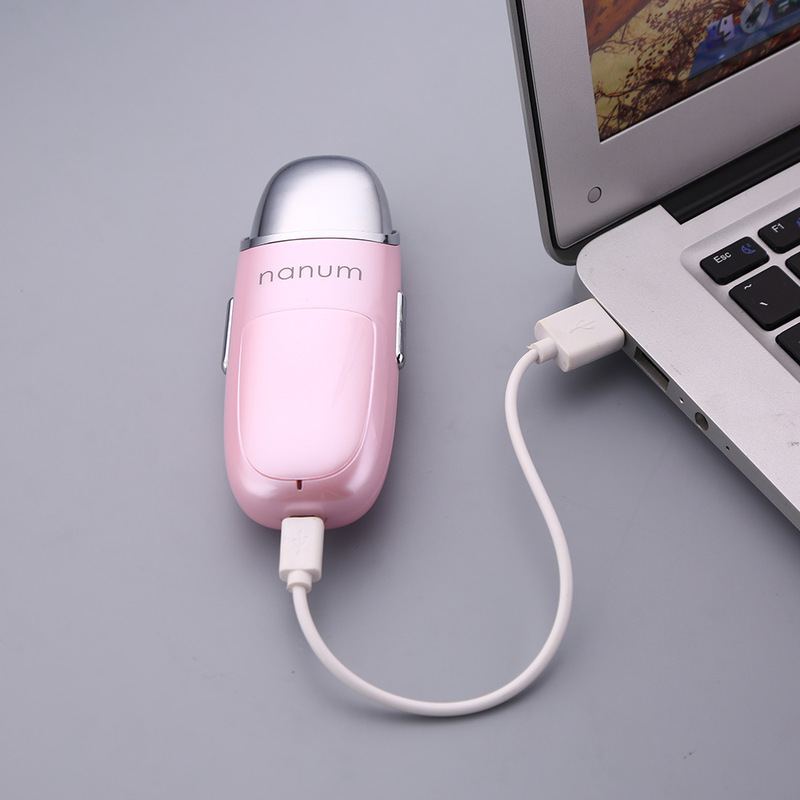 A skin moisture tester: It can tell you if your skin needs hydrating in seconds by merely contacting with your skin. Vibration means your skin is still moist enough, while no feedback means dryness. 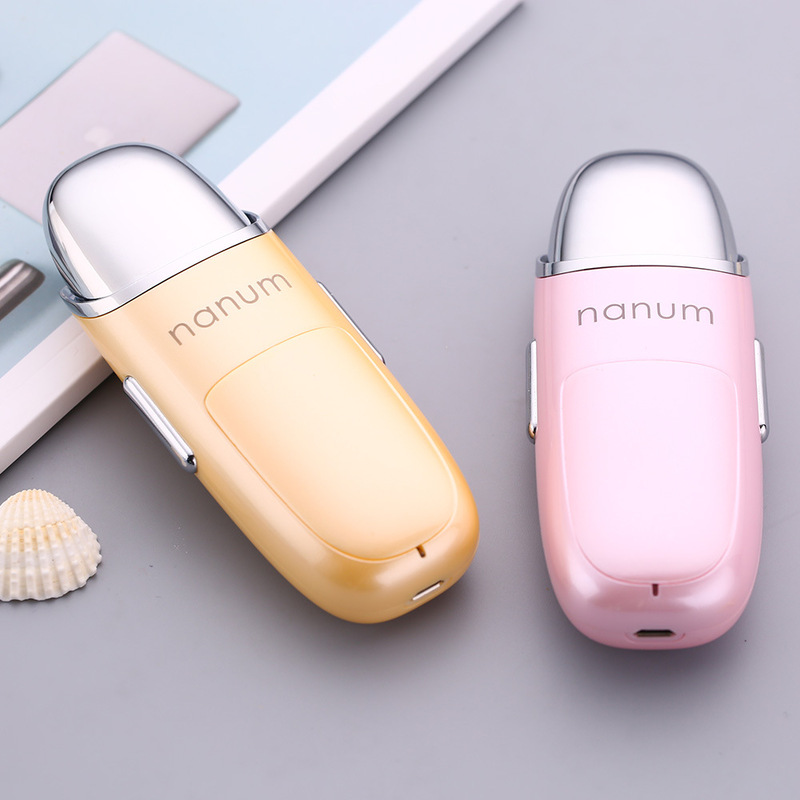 Nano Ultrasonic technology: Producing the finest mist spray that moisturizes effectively without damaging your makeup for a refreshing lift any time.